王双青, 占炳东, 张建民, 曹国平, 钟建跃, 余樟有. 浙江省衢州市开化县鼠类伯氏疏螺旋体感染状况调查[J]. 中国媒介生物学及控制杂志, 2018, 29(6): 601-603, 616. WANG Shuang-qing, ZHAN Bing-dong, ZHANG Jian-min, CAO Guo-ping, ZHONG Jian-yue, YU Zhang-you. Investigation on Borrelia burgdorferi in rats captured at Kaihua county in Quzhou of Zhejiang province[J]. Chin J Vector Biol & Control, 2018, 29(6): 601-603, 616. Corresponding author: ZHAN Bing-dong, Email: 26428423@qq.com. Abstract: Objective The present study was conducted to investigate the infection of Borrelia burgdorferi in rodents in Kaihua county. Methods Nested PCR were used to amplify 5S-23S rRNA spacer fragments of B. burgdorferi from kidney samples of rodents captured by mouse cage in Kaihua county. And the positive samples were sequenced and analyzed. Results A total of 10 rodents were positive in 149 samples tested, with the prevalence of 6.71%. The positive samples were identified from Rattus edwardsi, Niviventer niviventer, N. fulvescens, R. tanezumi, Apodemus agrarius, and R. norvegicus. The predominant species in Kaihua county were Ap. agrarius, R. fulvescens, and N. niviventer and the positive rates were 4.05%, 10.00%, and 10.00%, respectively. The spleen specimens from the N. confucianus and N. fulvescens were positive for B.burgdorferi sensu stricto, and that from R. norvegicus was positive for B.valaisiana. Conclusion The N. confucianus and N. fulvescens are considered as important reservoirs. 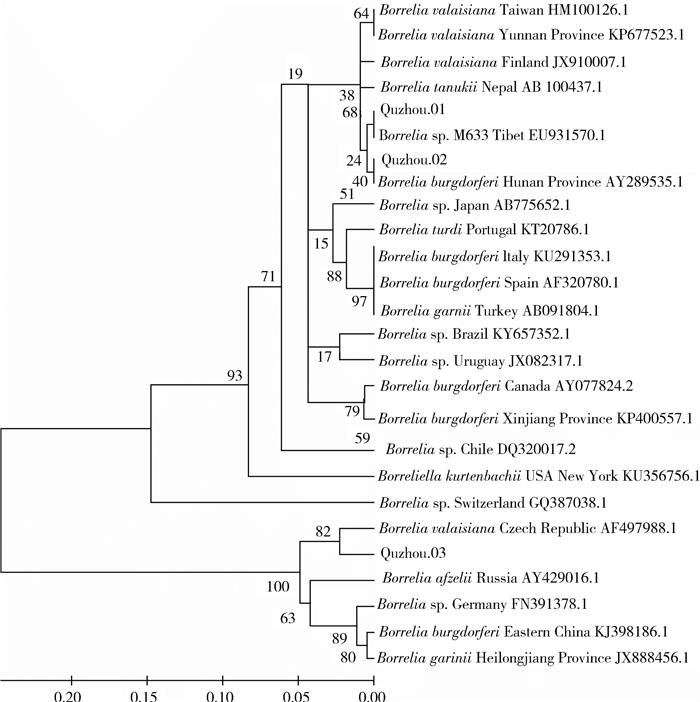 The infection of two B. burgdorferi genotypes in rodents was confirmed in Kaihua county. It is very important to enhance the B. burgdorferi surveillance in wild animals and focus the morbidity in population. 凌锋, 龚震宇, 柴程良, 等. 浙江省蜱媒传染病监测研究[J]. 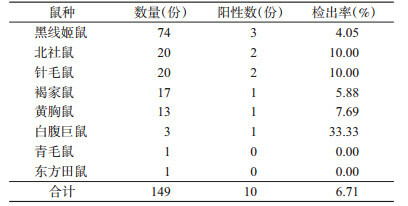 中国媒介生物学及控制杂志, 2013, 24(1): 19-23. 张刘丽, 侯学霞, 耿震, 等. 巢式PCR用于疑似莱姆病患者血清标本检测的研究[J]. 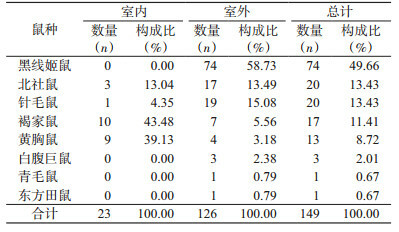 中国媒介生物学及控制杂志, 2013, 24(1): 8-10. 孟真, 姜理平, 李钟梁, 等. 浙江中部地区鼠类中检出莱姆病螺旋体感染[J]. 中国卫生检验杂志, 2010, 20(10): 2503-2505. 赵俊伟, 王环宇, 王英. 中国蜱传病原体分布研究概况[J]. 中国媒介生物学及控制杂志, 2012, 23(5): 445-448.